Custom colors and styles complement your home décor. Personalizing your custom closet organization system to match your own unique style is one of the best parts about our installation process. 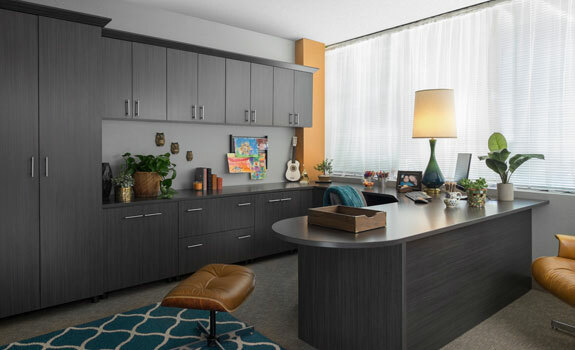 With six different styles and 11 colors of gorgeous closet cabinets from Austin Closet Solutions, you can find the perfect combination to mix and match for a completely custom and personalized look. Our professional designers can create a look that brings out the very best in your closet and your personal style, from sleek modern décor to elegant closet designs fit for a Hollywood starlet. What sets us apart from the competition is the quality of our construction and installation methods. Choose from a wide array of real-wood cabinet styles and finishes to bring out your own personal style. All of our drawers have full-extension runners for increased accessibility, making them easier to use. Custom-made, these sturdy and beautiful drawers are shipped directly to Austin Closet Solutions for exclusive use in our closet layouts. 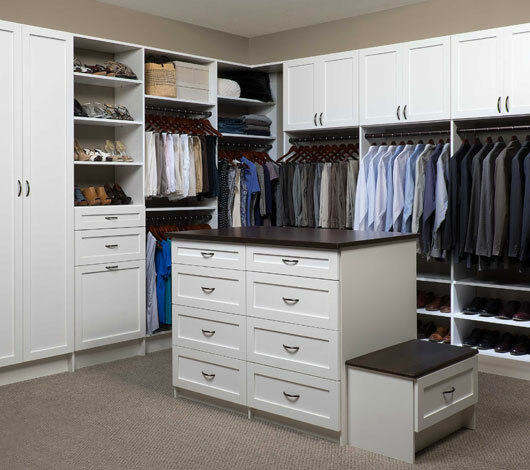 With our 3D design technology, you will be able to visualize exactly what your closet will look like after installation – including any custom colors, cabinet styles or upgrades you have selected. Designs can change based upon your preferences and budget to ensure complete satisfaction once installation is finished. Once your order has been placed, we produce materials quickly and our professionals are available to set up the installation on your schedule.